VPN is very important today, choosing the right one will be very important. You will need a service that is going to offer you security, safety and a way to privately surf the web without having your private information taken from you. With Hideman Service, they will give you that. Hideman Service is a virtual private network company and we all know how important and valuable VPN is today. It gives people a way to get a new IP address and a secured network. Hideman Service can give you a new IP address from the following countries. Germany, the United States of America, the United Kingdom, Russia, the Netherlands, Singapore, Ukraine and Panama. That is eight different choices to choose from meaning that once you choose whichever IP address you want, you can search the websites from that country. 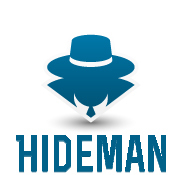 Hideman Service also gives you a secured network so that no one can find and hack into your internet connecting, keeping whatever you do online safe and secure at all times. The UK Company doesn�t offer any money back guarantees but the monthly cost of nine dollars is good. This will add up to about one hundred dollars for the entire year but still that is a good price. The only real thing which you might be worried about is the fact that not much is known about what other devices can support the VPN service. This is the only grey area from the Hideman Service Company. Hideman will only offer one VPN protocol today and that is Open VPN but with the IP types you get two choices � Shared Dynamic and Static. Hideman Service will be able to run with any computer that has the following operating systems; Windows. This can include the ever popular Windows Vista and Windows 7.